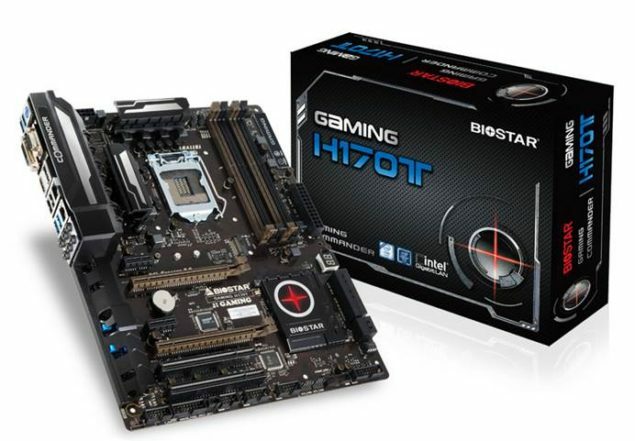 Biostar has announced the release of their gaming focused H170T motherboard that’s based on Intel’s H170 chipset. This marks a continuation of their support for the gaming community. Biostar Gaming H170T aims to hit the value sweet spot. For the Gaming H170T, they’re aiming to hit the bugetary sweet spot with a capable and well equipped motherboard for under $170. The Gaming H170T comes with Hi-Fi Technology built inside, delivering Blu-Ray audio, Puro Hi-Fi features an integrated independent audio power design with a built-in amplifier designed to drive headphones with up to 600Ohms. The technology utilizes audio components with an independent power delivery design for a significant reduction in electronic noise producing superb sound quality. Also onboard the Biostar Gaming H170T is support for USB 3.0, PCIe M.2 (32Gb/s), SATA Express (16Gb/s) and DisplayPort for monitor output. Not only that, this board features a PCB design that resists moisture. That means that you can setup an outside kiosk or signage and even in rural or coastal areas with high humidity it should be unaffected by that increase in humidity. Also included is something that Biostar is terming X.D.C (eXtreme Durable Capacitors) which are quality solid capacitors to help make sure the board remains rock solid and stable. These are low ESR and high ripple conductive solid state capacitors that provide a stable power supply to the CPU. The life span can also be more than 6.25 times that of ordinary liquid caps.